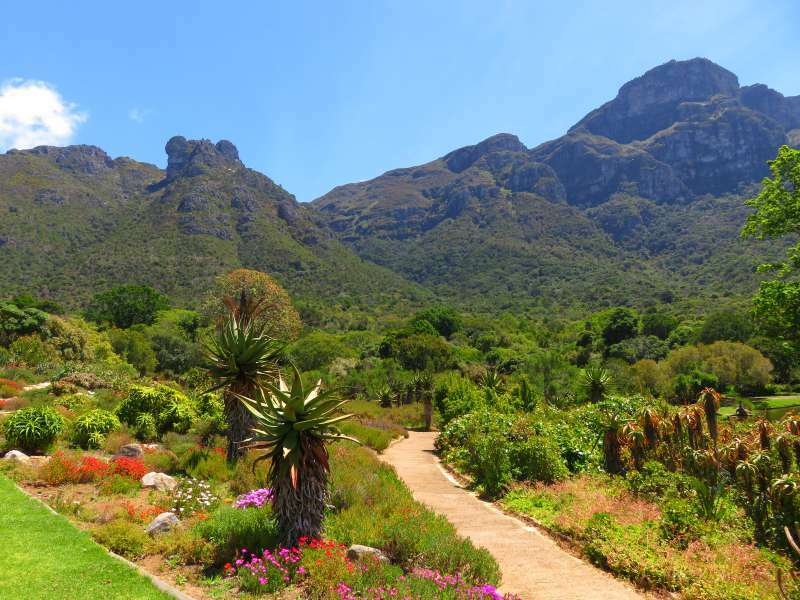 The Travelling Lindfields: Kirstenbosch - Is this the world's most beautiful botanic garden? 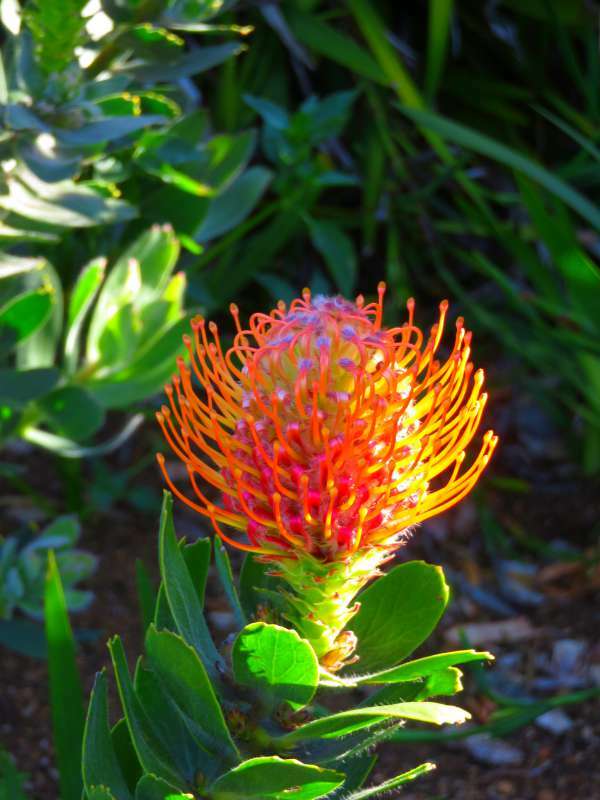 If Kirstenbosch is not the world's most beautiful botanic garden it has to at least come close. What do you think? Have you ever been to a garden you just keep wanting to go back to? 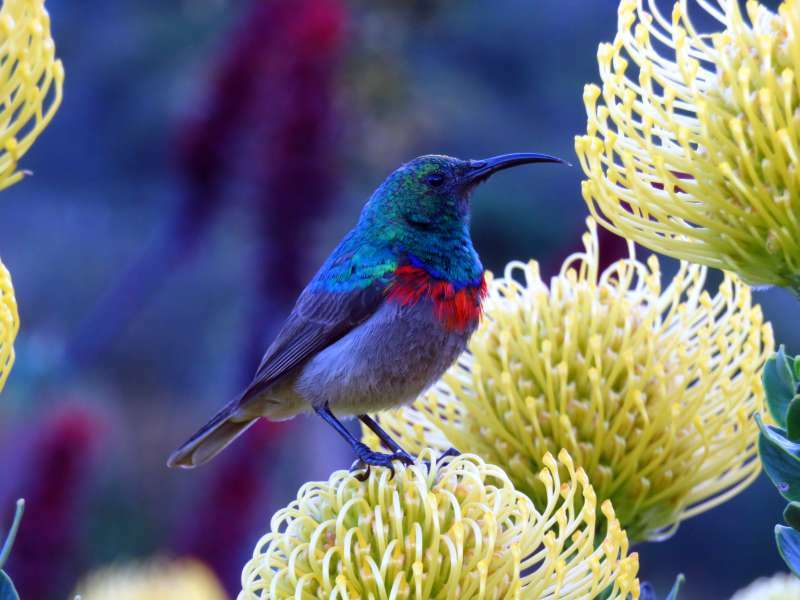 How much is the cost of entry to Kirstenbosch? - Entry costs R65 for Adults and R15 for children from 6 to 17 years. Children under 6 are free. There are also concessions for Sth African students and senior citizens. Check the website for up to date information. You can buy tickets online but there were no queues either time we visited. What are the opening hours? 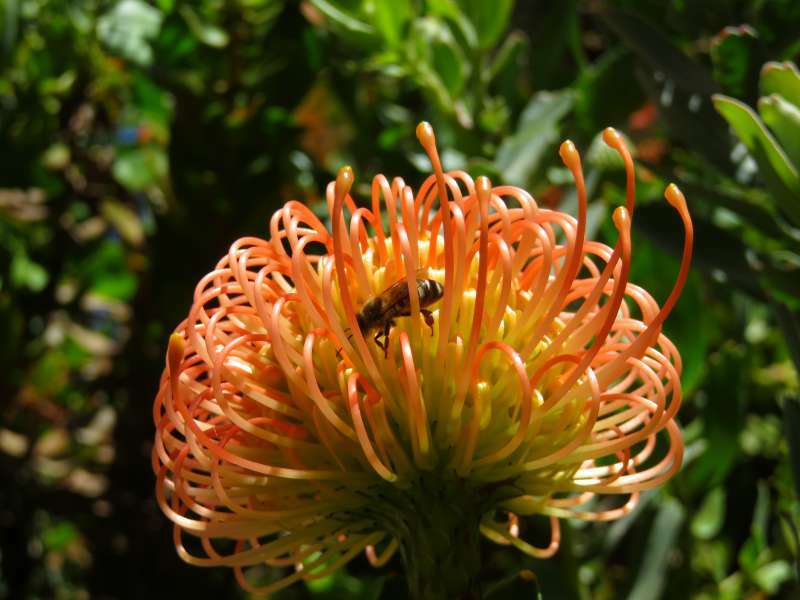 - Kirstenbosch is open from 8 a.m.to 7 p.m. September to March and 8 a.m. to 6 p.m April to August. The conservatory is open from 9 a.m. to 5 p.m. Check the website for up to date information. How long does it take to see? - If you are on a tight schedule you can see all the highlights in a little more than an hour. If you are not pressed for time plan on spending two or three hours. What is the best time of year to go? 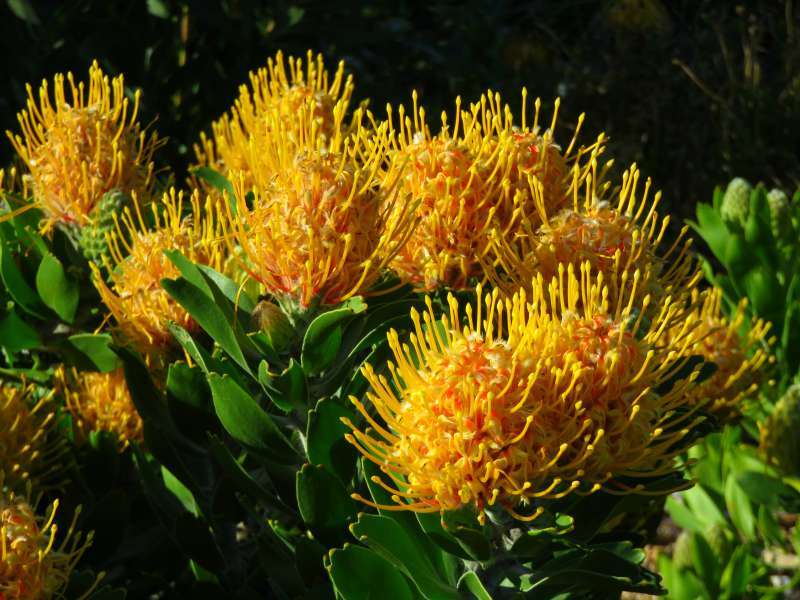 - Spring is definitely the time to go because the flowers are stunning. We went in early October and then again in late October. There were a few more flowers in bloom in early October. What is the best time of day to go? Try not to visit too late in the day. The sun goes behind Table Mountain an hour or so before sunset plunging the gardens into shadow. What if you have mobility issues? 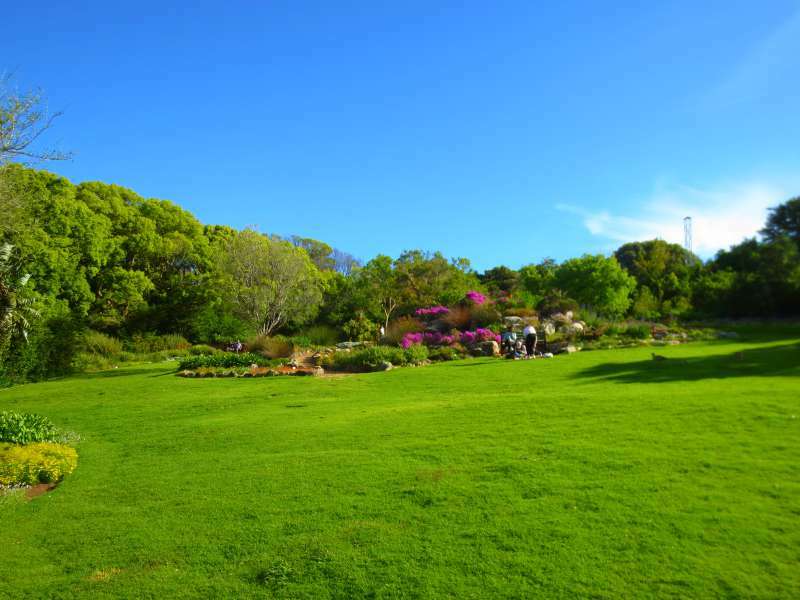 Kirstenbosch is built on the side of a hill with a fairly steep gradient. Shuttle car tours cost R75 per person in addition to the entry fee. Not all the areas are accessible to wheelchairs. If you are looking for an all in one pass to attractions in Cape Town, check out Cape Town Pass. 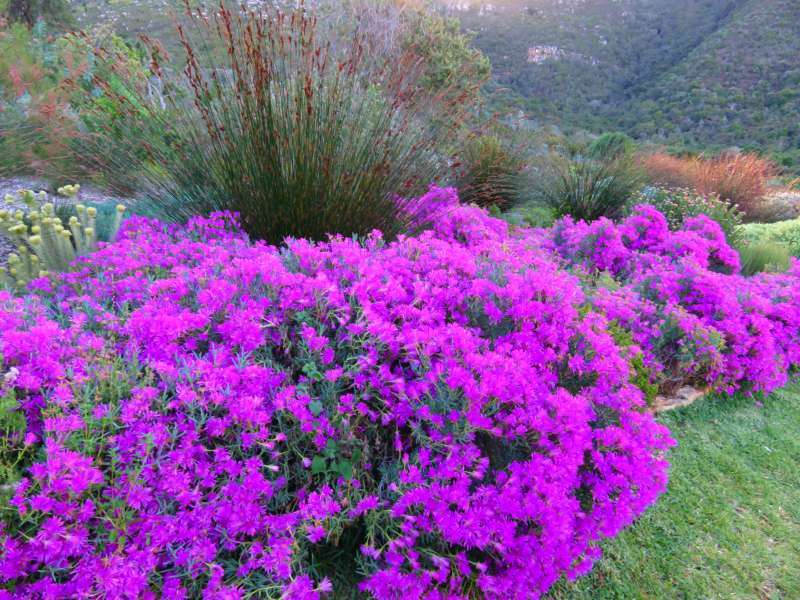 Entry to Kirstenbosch is included in the pass. Singapore is now famous for the Gardens by the Bay and their striking metal trees. We are headed to Singapore early next year and I intend to spend a fair bit of time there with my camera - lol. Wow. This is quite the gardens. Your photos really bring it to life. The flowers, the colours, the bird life, the reflections in the water. It is just lovely. Do they say it is like this all year, or did you just hit the right season? We went in spring (October). I imagine the gardens are lovely throughout the year but if you want the flowers, go in spring. David and I love gardens, especially in spring. Kirstenbosch is stunning but I admit there are quite a few others around the world to give it a run for its money. 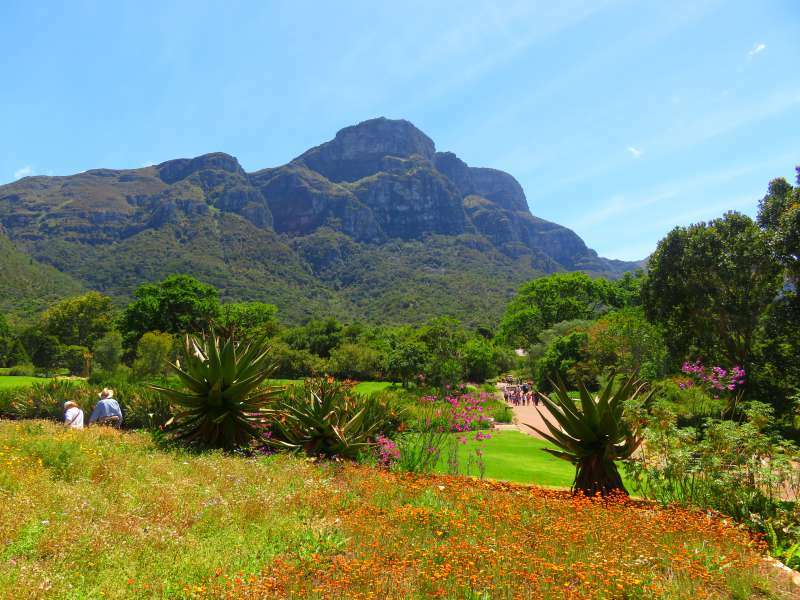 The thing which really makes Kirstenbosch stand out is the setting, with Table Mountain in the background. Lyn that garden is stunning. Steve would absolutely want to spend a lot of time there, those colours and the cute little birds are beautiful. The bird is a sunbird. They look a lot like hummingbirds only bigger and more colourful. Missing Kirstenbosch wasn't the main reason we went back but it was one of them. The mountains in the background are truly stunning when you are there. I absolutely agree with you on this! Last year I visited the Kirstenbosch Gardens for the first time and I could've spend AGES there. I basically took a trillion photos, it's just so gorgeous!!! Thanks for the trip down memory lane. Add your trillion photos to my trillion photos and that's two trillion just between you and me - lol! 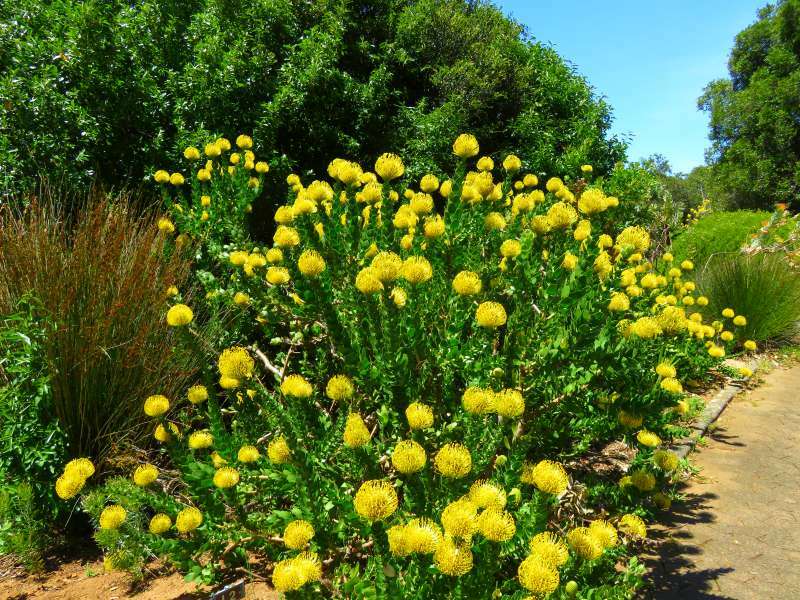 Kirstenbosch regularly makes the top gardens in the world lists but I admit that I hadn't heard of it either until the first time we visited Cape Town. I can only imagine how beautiful Kirstenbosch Gardens must have been in real life, against that majestic mountain backdrop. I've seen many gorgeous botanical gardens during my travels, but Kirstenbosch seems to be more spectacular that what I've seen so far. They landscape reminds me of Hawaii. 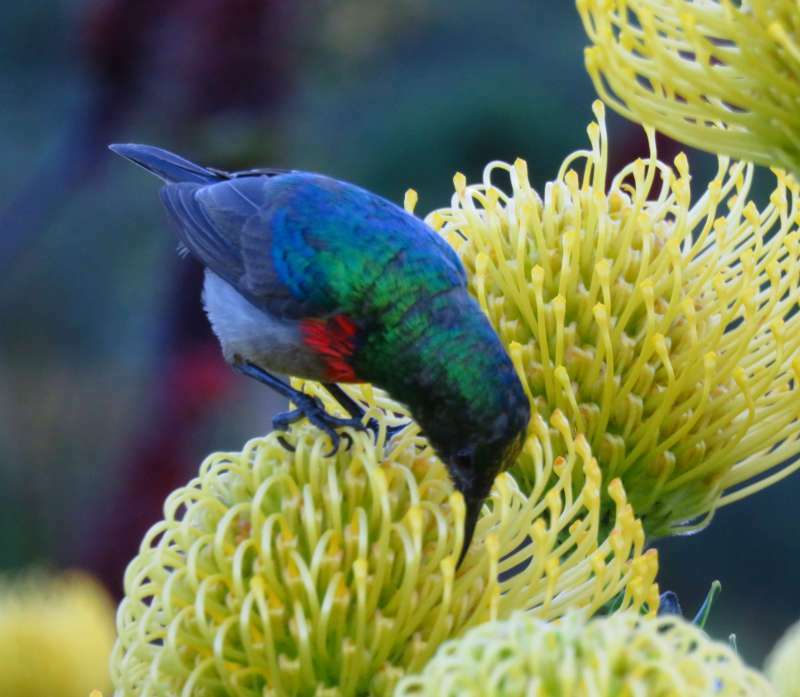 You would love the photo opportunities at Kirstenbosch, especially in spring. We stayed at Franschoek for three nights. It is a beautiful town. Very beautiful! It looks like quite the stunning setting so I can only imagine how it looks in person. Glad I was able to tag along through your post. I am glad you enjoyed 'tagging along'. 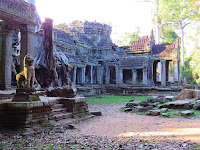 One of the best things about travel blogging is getting read so many other travellers blogs. We went twice. One of the days was sunny and one cloudy. Almost all the photos here came from the sunny visit. The sun made a big difference to the photos but I don't think it made that much difference to the real experience. I love all the shots Lynn but the hummingbird one is my fave. We saw these guys all over the place when staying in a jungle a few years back; the whiz as they zoomed by your head seemed like a little supersonic experience. Cape Town and this garden look stunning. 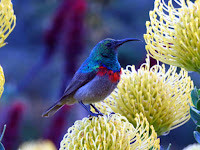 It looks a lot like a hummmingbird but actually it is a sunbird. 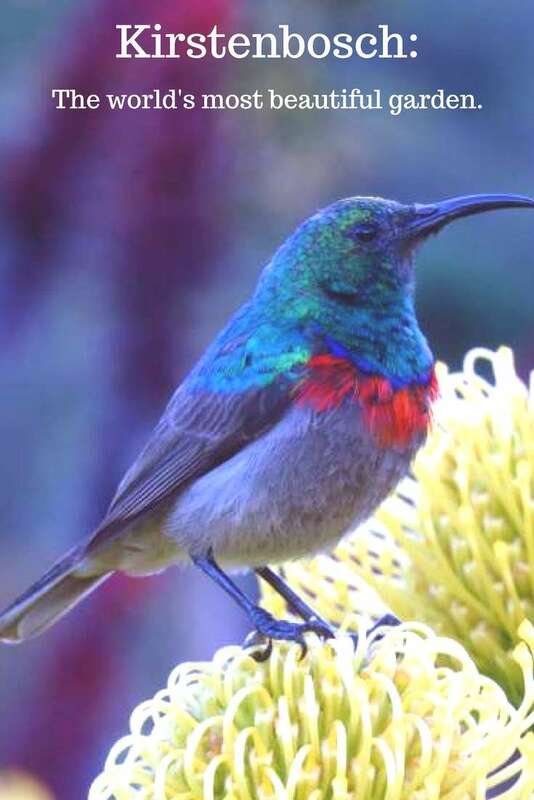 I don't think Africa has hummingbirds. It was a fair bit bigger than the hummingbirds I have seen in the U.S. It was just as lovely though. 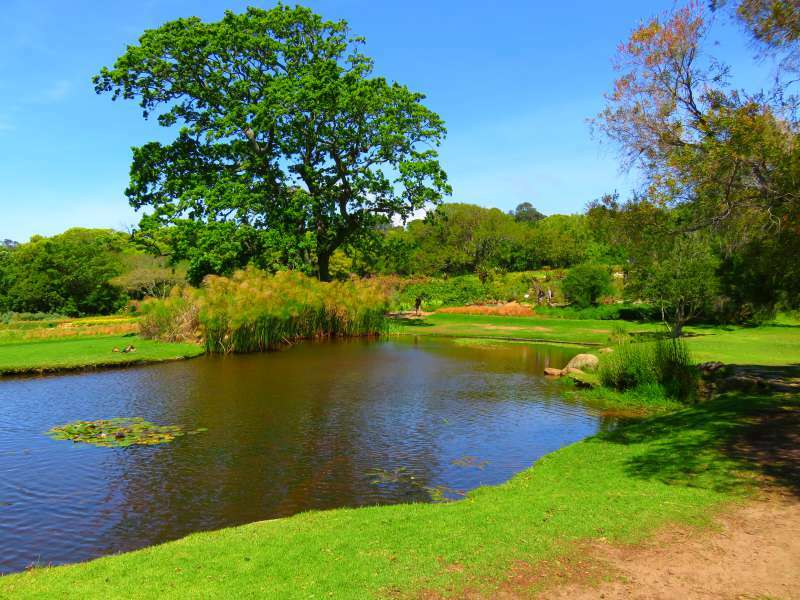 The Kirstenbosch National Botanic Garden seems like paradise on Earth, Lyn! I wouldn't hesitate to explore it when I visit Cape Town. Is there an entrance fee? Yes. I put the fee toward the end of the post. It wasn't much. I know it looks like a hummingbird but it is a sunbird. OMG those birds!! This looks like a stunning garden! The birds are sunbirds. They are lovely - I agree. I didn't know about the twilight concerts. That is one for our next visit. Thanks. 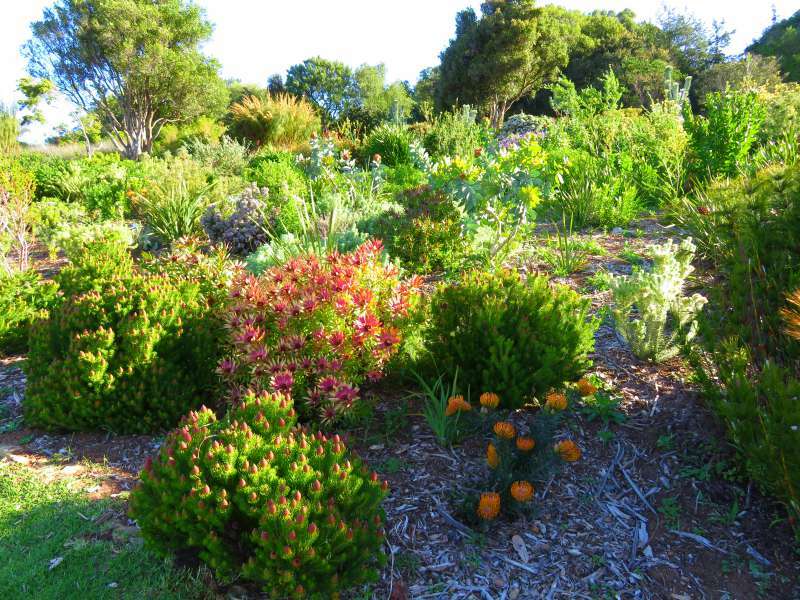 Cape Town's Kirstenbosch National Botanic Garden definitely looks top notch. As do your images, which look positively painterly--did you use a special setting or app for them? I just have a little Canon point and shoot. I keep thinking I should get a better camera but I suspect I wouldn't know what to do with it if I did. This is such a beautiful post. I could look at it over & over again, as the photos are SO fabulous! I can't believe you took them with a Canon point and shoot!!! David had an SLR years ago when we first met and it was such a pain to carry around that we hardly took photos of anything. I am a great fan of point and shoots because they're so easy to pop in a handbag. Having said that I am just about to upgrade to a better zoom. We have moved and are now living next to a National Park in Sydney with loads of wonderful wildlife. I want to be able to get better shots of them. We have kangaroos, an entire family, wallabies, black cockatoos, white cockatoos and a pair of wedge-tail eagles. No doubt you will see them all on my social media pages in due course. So gorgeous. There must be someone out there who travels to botanic gardens and rates them. 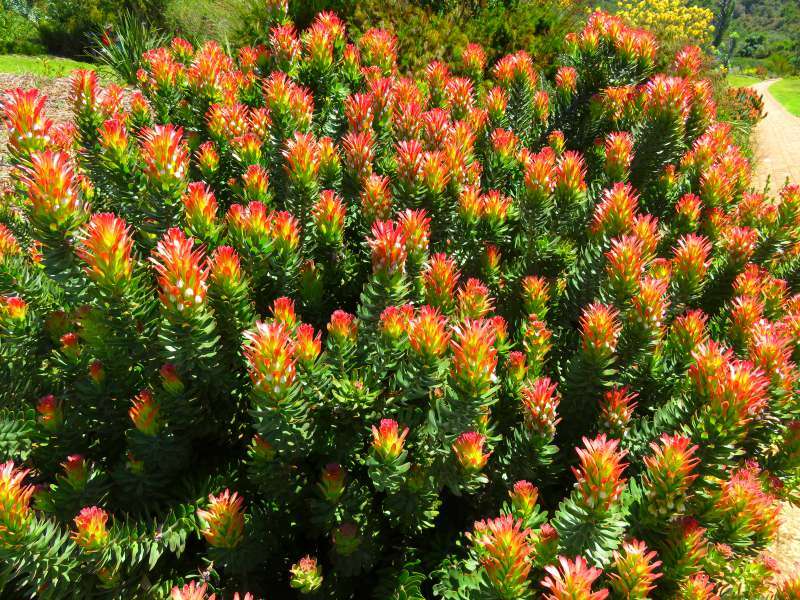 I wonder how someone would compare Kirstenbosch with Butchart and other magnificent gardens. David and I have seen quite a few around the world and Kirstenbosch is right up there with the best. We have not been to Butchart - yet!